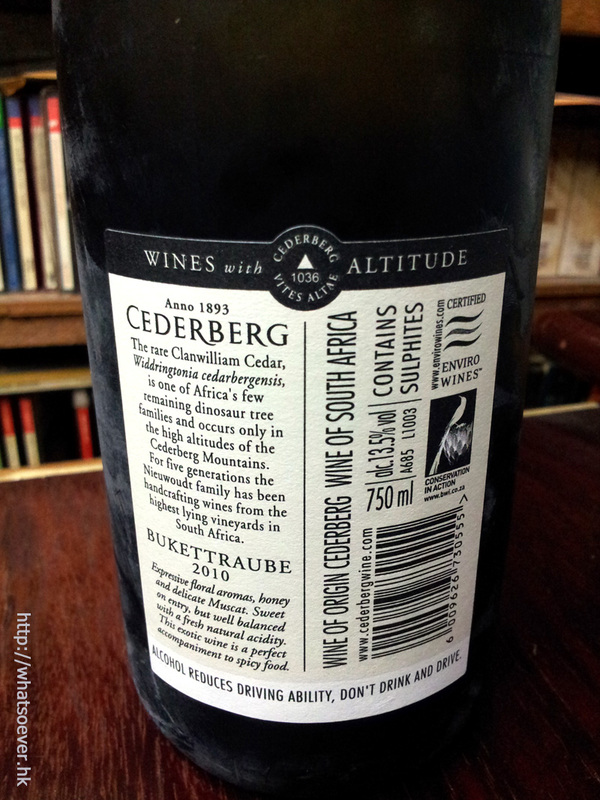 Originally "cultivated" in Alsatian in the 19th century (Randersacker has also been claimed as an origin), Bukettraube eventually found its way to South Africa and beyond. Bukettraube is a rare varietal that actually a cross between Sylvaner B and Schiva grossa. Aromatically aligned with Muscat, but twinged with citrus blossoms and a hauntingly sweet nectarlike palate, it's exotic flavors meld beautifully with spicier fare. A perfect wine for a hot summer day! 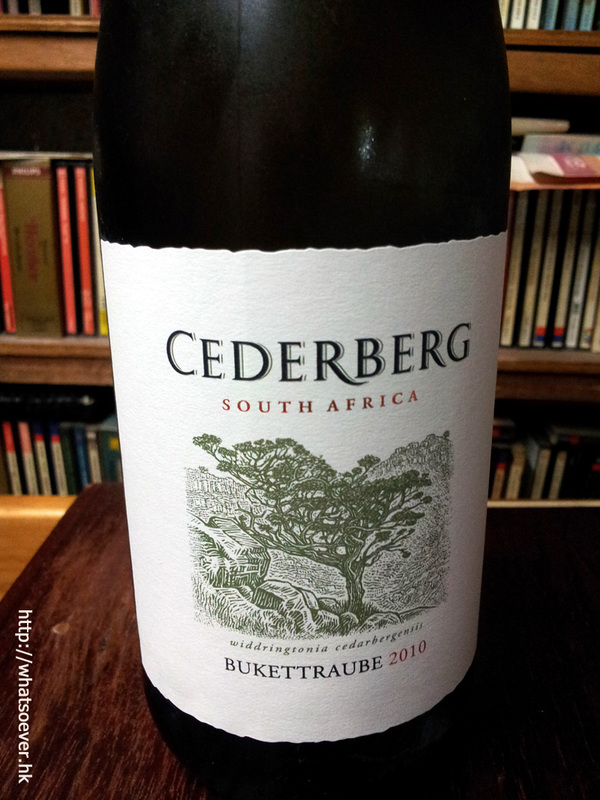 On the palate, the Cederberg Bukettraube 2010 is sweet with bright and zingy acidity. There are strong flavors of grapefruit, honey, and a bit of bitter grapefruit pith on the finish.